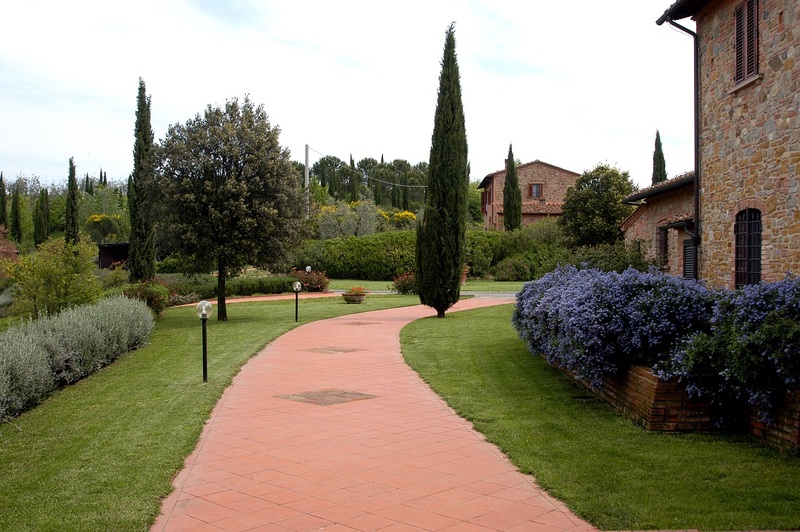 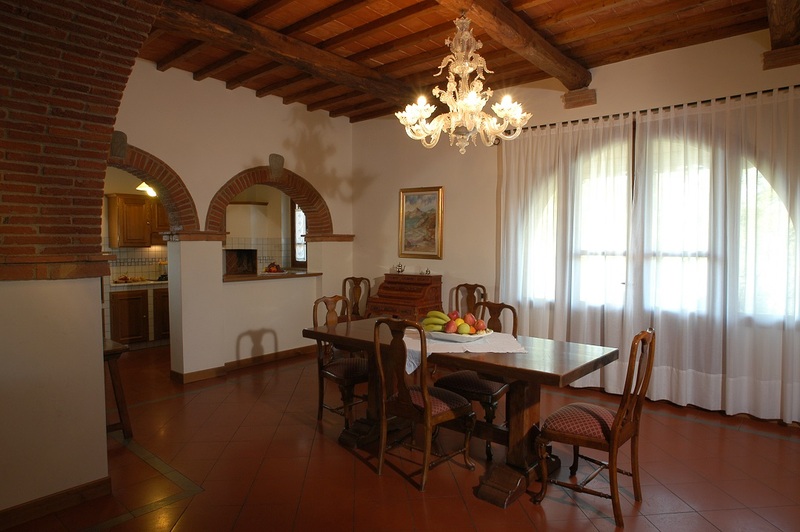 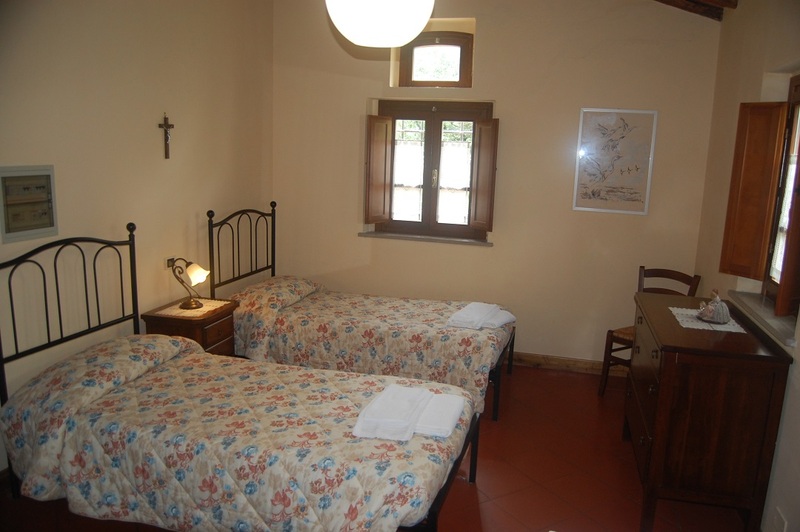 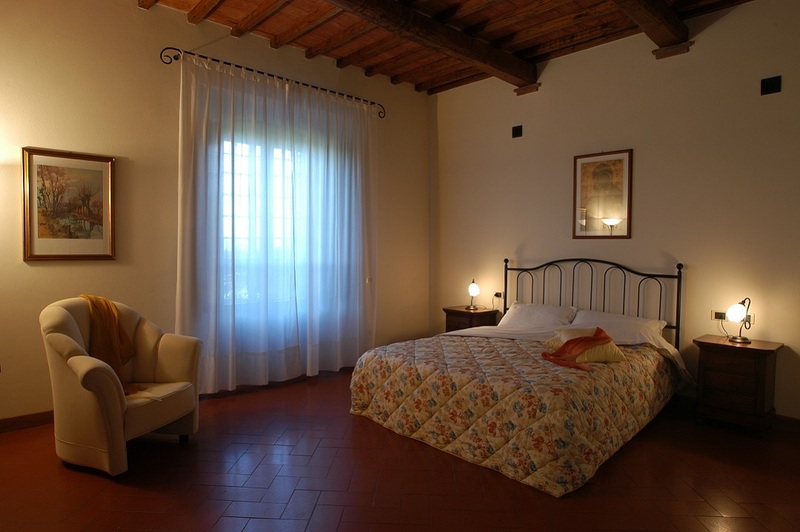 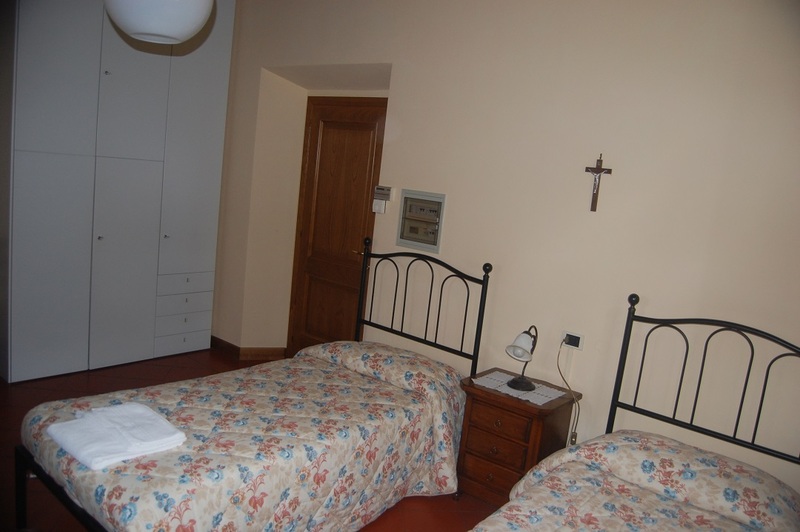 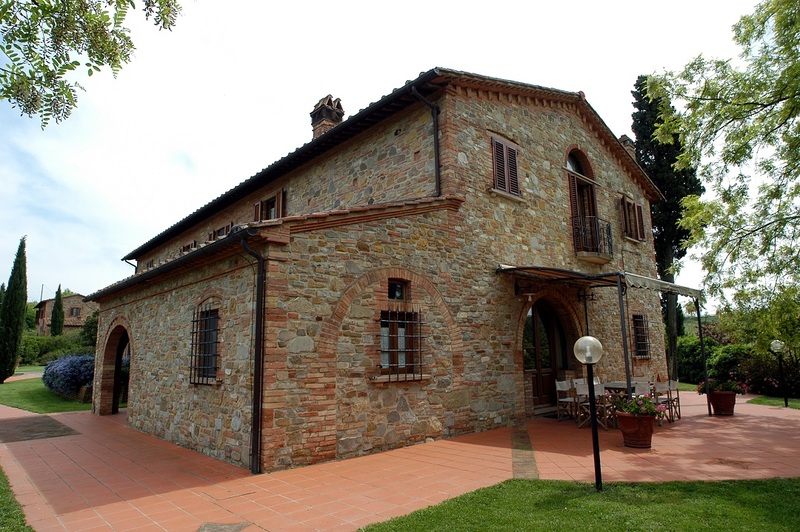 The Puccini house is the largest in Fignano, the total area of this flat is even 220 m2, on the same floor, with 4 bedrooms and 2 bathrooms. 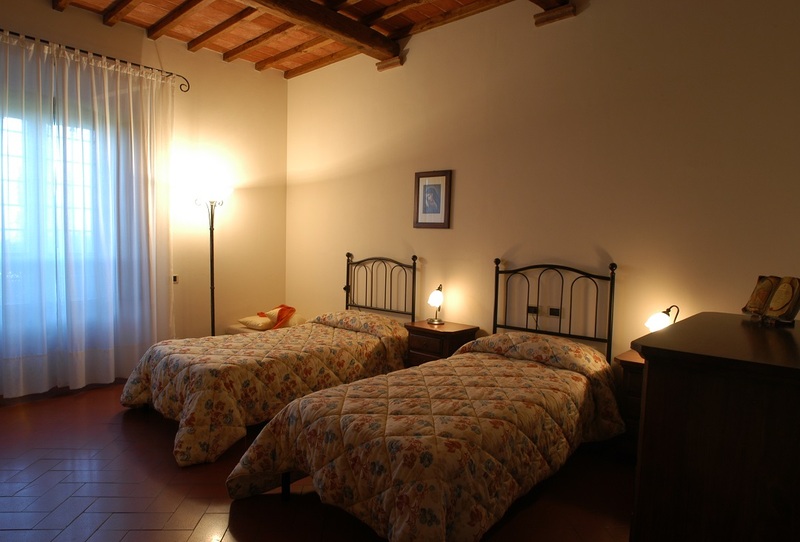 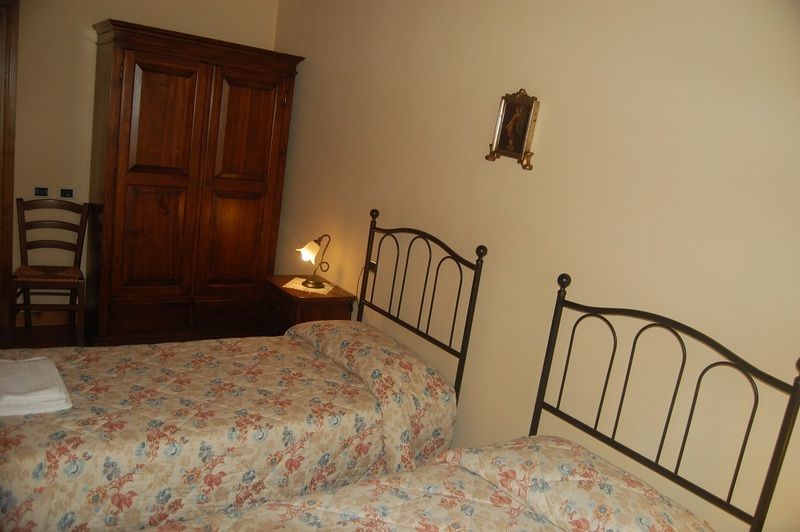 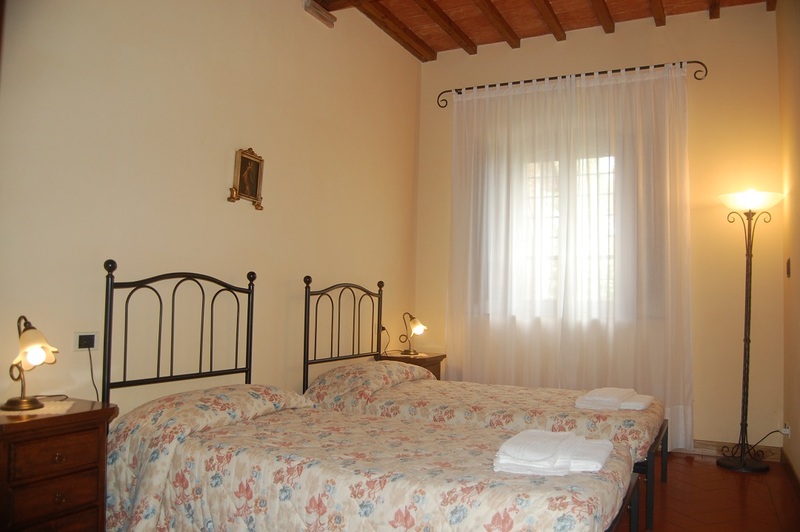 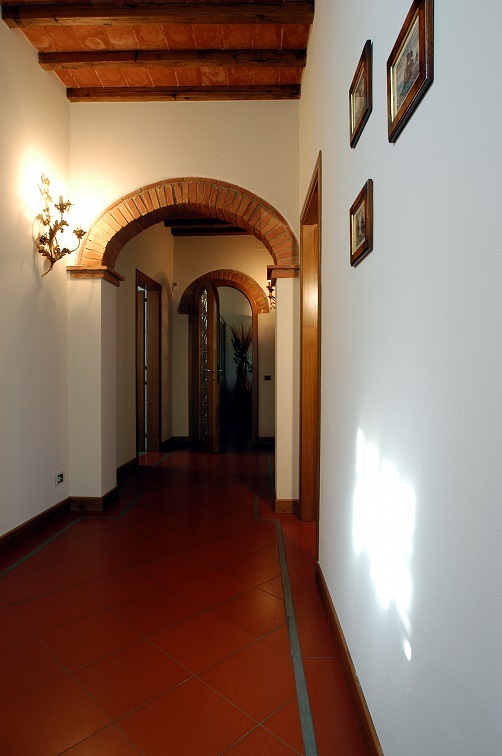 It is placed in the same building where there are also the house Vivaldi and the apartment Rossini. 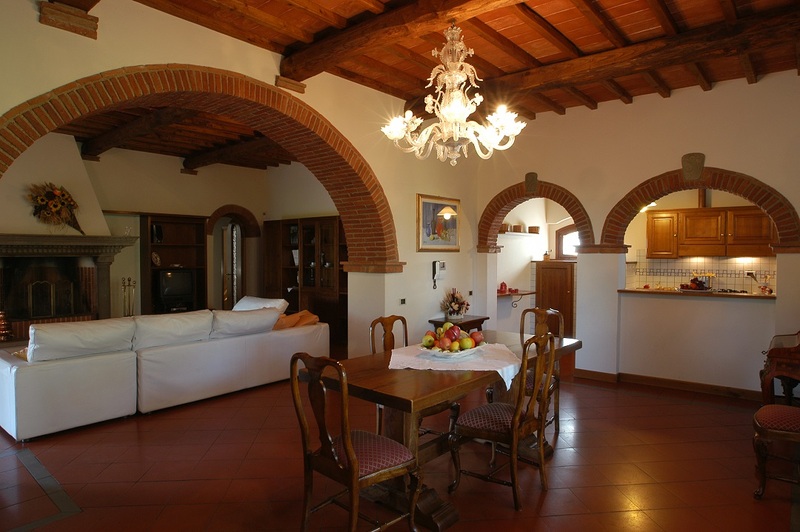 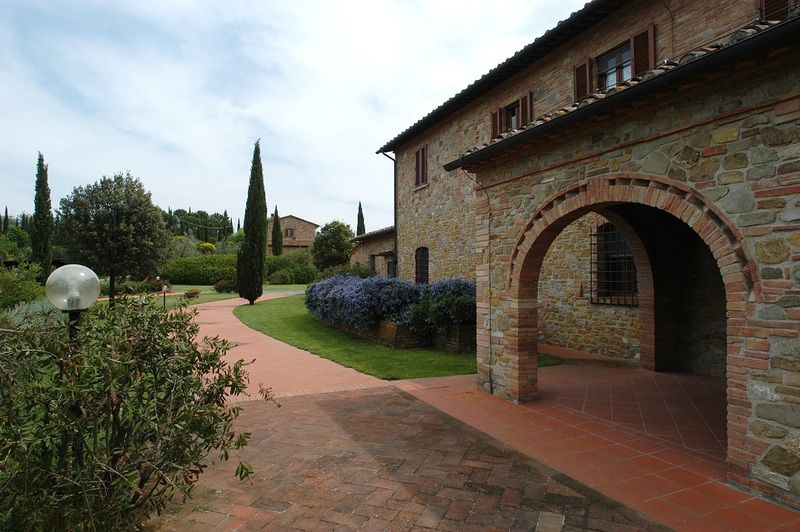 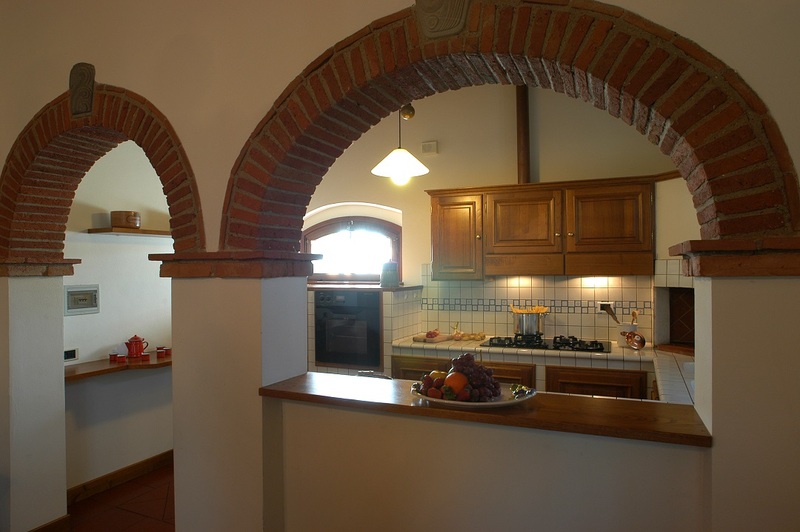 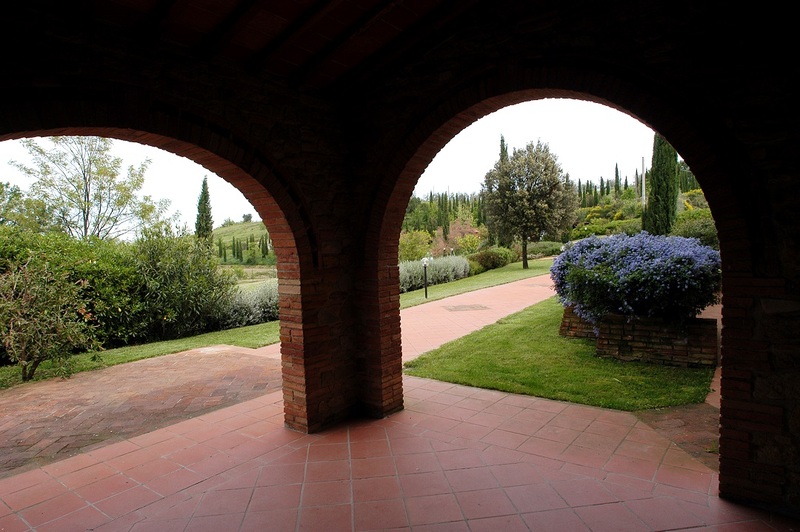 Also here fittings level and interiors are well cured and integrated into the architectural setting, the typical one of Tuscan country villas: ceiling with visible roof beams, terracotta-tiled floor, and well arranged arches. 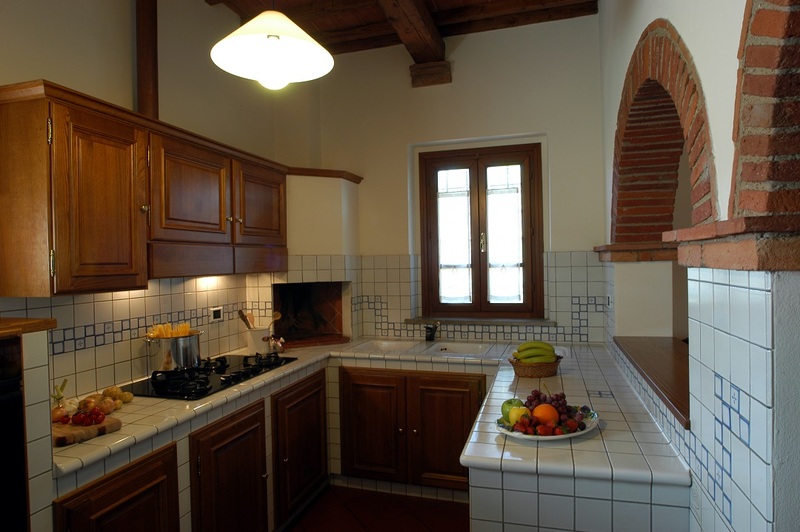 The kitchen is in masonry style, fully equipped with electric household appliances (also dishwasher); it is included also a barbecue, in order to cook easily grilled food. 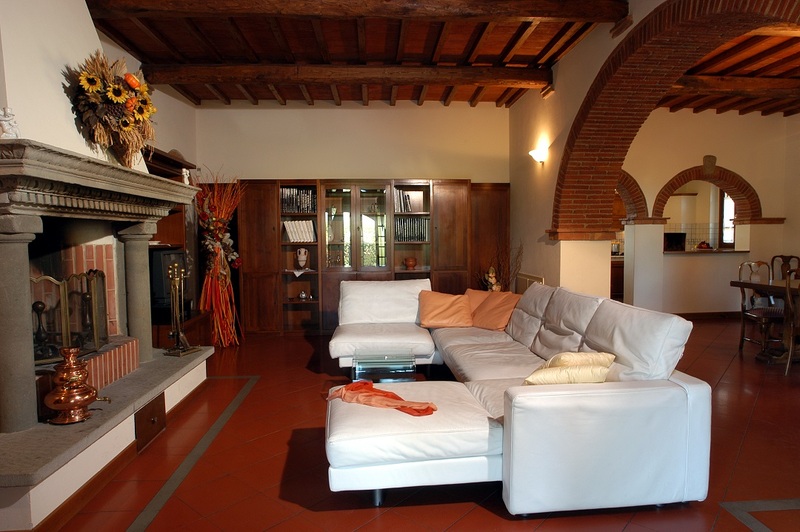 Remarkably beautiful is the fireplace in old stone, towering the living room area. 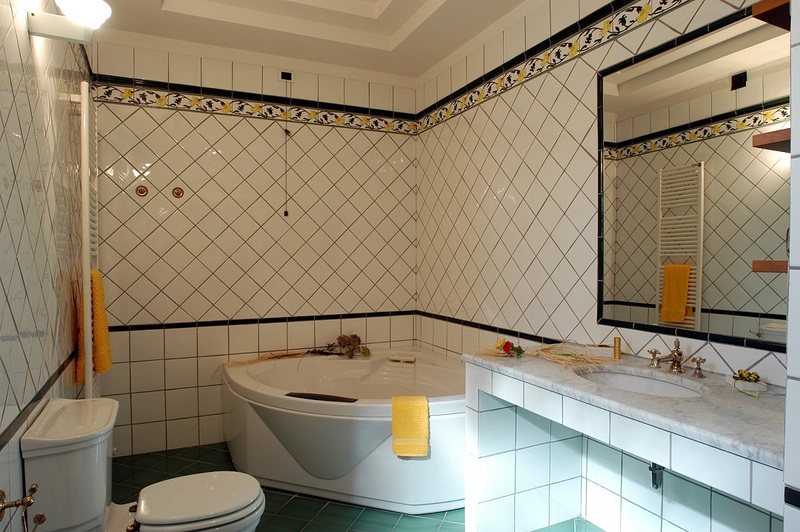 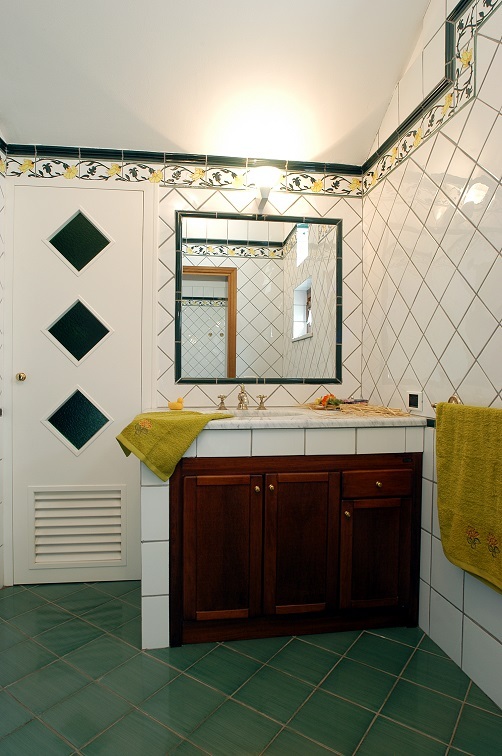 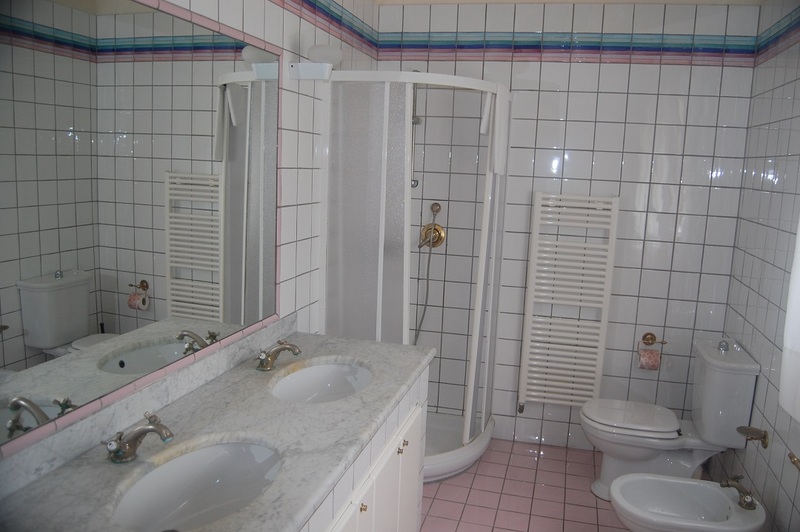 Bathrooms are wide and equipped with very large shower cubicles, in one of these it is available also a bathtub with Jacuzzi. 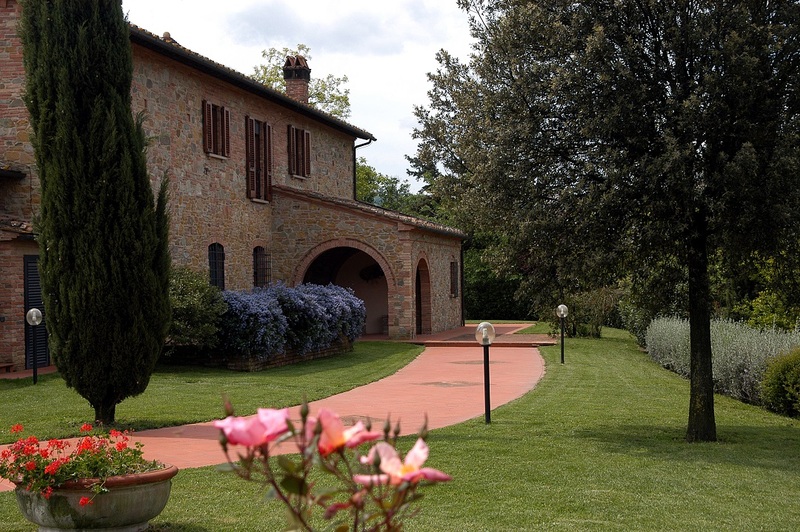 Outside guests have at their disposal a vast and reserved garden area, furnished with tables, chairs, deckchairs and beach umbrellas.